Last week, Terrance Hayes was named as one of the 2014 class of MacArthur Fellows, a notable distinction that includes "a no-strings-attached stipend of $625,000." Not bad at all. The award is particularly notable given the small number of poets, especially African American poets, who have received such large prizes. Over the last 15 years, Hayes has distinguished himself as an exceptionally talented poet. His volumes of poetry include Muscular Music (1999), Hip Logic (2002), Wind in a Box (2006), and Lighthead (2010). Collectively, those works earned Hayes widespread praise and critical acclaim, and he has established himself as a prominent contemporary poet. He was won a National Book Award, a National Poetry Series award, and a Whiting Award among other honors. Now, the MacArthur. 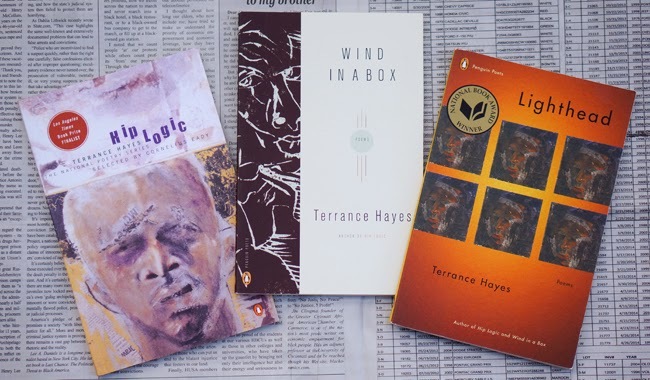 Among African American poets, Jay Wright received a MacArthur in 1986; Thylias Moss was a recipient in 1996; and Ishmael Reed earned the award in 1998. Thus, Hayes enters rare company. Increasing numbers of black poets have received literary prizes, fellowships, and awards during the 21st century, but none had received the MacArthur until now. Hayes's recent recognition does not mean that the MacArthur Foundation will immediately start handing out large checks to black poets. However, last week's announcement did place a black poet in the news, which in turn places the artist, the work, and black poetic discourse in general on the radars of more people than is common. Further, when some individual poets receive awards and prestige, they spread the love, so to speak. One reason that certain kinds of white poets won recognition and prizes for a century was because some of them had access to an interrelated network of preference. African American poets, by and large, did not have as much of that access 50 years ago and 25 years ago. Things have changed, slowly. What we are witnessing these days are results of some of that change and the ability of groups of poets and select gatekeepers to diversify the kinds of poetry that receives notice. In addition to receiving a big payday, the MacArthur means that Hayes will be increasingly called on to judge upcoming poets for various awards. He's likely to assist in diversifying poetic preferences. • Poetry awards as "megablurbs"